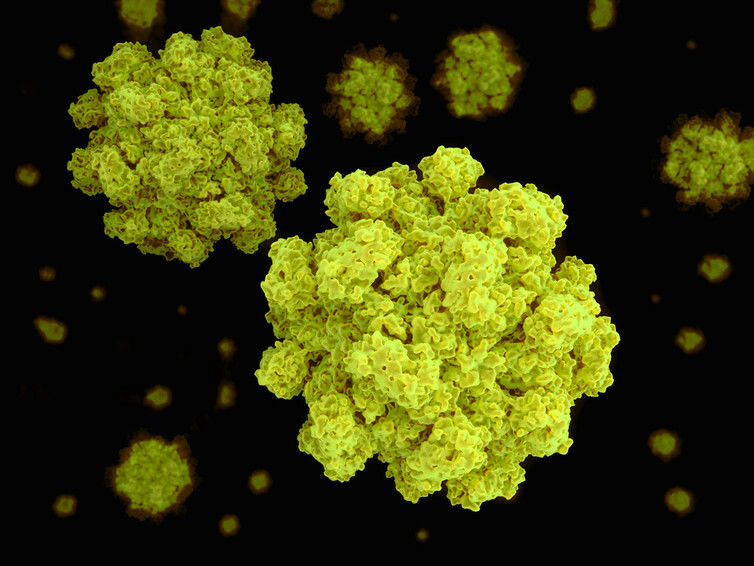 Why Is The Norovirus Such A Huge Problem For The NHS? Norovirus, also known as winter vomiting disease, is on the rise again according to a report in the BMJ. A familiar set of warnings about ward closures and avoiding visits to patients in hospital was also issued, but why does this one virus cause the NHS such difficulty? While norovirus does occur year-round, there is a winter peak in cases that clashes with the winter rush on the NHS. The symptoms of norovirus – diarrhoea and vomiting – typically last a day or two. While you may spend those days wishing you were dead, the chances of long-term harm from the infection are extremely low if you are otherwise healthy. The people most at risk from norovirus are the very young, the elderly and people with impaired immune systems (those said to be immunocompromised). Unfortunately, these are exactly the groups most likely to find themselves in hospital. As a result of advances in transplant medicine and cancer treatment that suppress or affect the immune system, these immunocompromised patients make up an increasingly large portion of the population. While norovirus only lasts a few days at most in healthy people, those who are immunocompromised can struggle to clear the infection; it can linger for weeks, months or even years. Fortunately, it is rare that full-blown norovirus symptoms are experienced for this long. It does make it hard to absorb food and gain weight, which is a worry after major surgery and can make recovery much more difficult. As such these patients are a particular concern. It is very easy to pass on the norovirus. One tablespoon of diarrhoea from a single patient can contain enough infectious virus to infect everyone in the world many times over. To make things worse, like many other viruses, people may remain infectious for several days after symptoms have resolved and not every infected person may even be symptomatic. Many cases are traced back to food handlers who may appear well and have no idea they are infectious. The virus can be spread through touching infected surfaces or material and a lack of suitable handwashing or hygiene before. Outbreaks tend to occur in closed environments such as hospitals, cruise ships, schools and retirement homes, as these all share common dining and social areas and have many people eating food prepared by others. In the case of hospitals, many of these have a food court or canteen which is shared by staff, patients and visitors. In summer, many escape outdoors on lunch breaks to enjoy the weather. But in winter when norovirus peaks, everyone crowds together inside, away from the cold.